Go to Consulting Services to learn more. Dr. Schramko earned his Doctorate in Management from Case Western Reserve University in Cleveland, Ohio. He also holds undergraduate degrees in Business and Science as well as a Masters in Business Administration from The University of Toledo in Toledo, Ohio. His health care training includes a graduate certificate in Health Care Administration from Ohio State University in Columbus, Ohio. 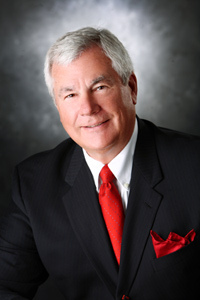 Dr. Schramko has held executive health care system positions over his 35 years of experience in the healthcare industry. He has been a faculty member at The University of Toledo for over 8 years specializing in strategic planning, entrepreneurship and personal strategic planning. He also has been on the faculty of The Weatherhead School of Management at Case Western teaching in the graduate school. Dr. Schramko has numerous articles to his credit that address the healthcare market and the issues relating education and training of healthcare and business professionals. 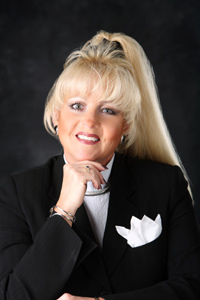 Dr. Schramko also has been instrumental in the development of techniques to assist private medical practices and non-health related service organizations in achieving their personal and business goals. As a practitioner-scholar, he has worked with both large and small medical practices as well as sole proprietorships and non-health investor-owned enterprises in the commercial market to create business plans that maximize the resources of the client organization. His international experience, including being a guest lecturer on the US health care system in the UK and Scotland, adds to his knowledge base about how medical practices and private businesses can grow and survive in an unstable global market environment. He has also consulted with medical/business organizations in Canada, Great Britain, Scotland, Germany, France and the Kingdom of Saudi Arabia. Deborah Schramko earned her professional certifications from the National Association of Medical Staff Services as a Certified Professional in Medical Services Management, and is a Certified Personal Trainer, Instructor & Counselor through the Aerobics and Fitness Association of America. Deborah has 28 years of experience in healthcare management, conducting employee, medical staff and executive leadership coaching, training and teambuilding. She has extensive experience in medical staff development, quality improvement, and medical staff services relative to JC, HFAP/AOA and NCQA requirements, as well as all aspects of hospital medical staff organizational functions and related strategic planning. She has served as teaching faculty for The University of Toledo and St. Vincent Mercy Medical Center, Toledo, Ohio, and has developed the “Defeating the Enemy Within” process improvement workshop. Deborah was a featured speaker on Medical Staff Leadership Development at the 35th Annual National Association of Medical Staff Services Conference in Dallas, Texas. Deborah has had two (2) research abstracts accepted by the American College of Chest Physicians for her work in creating cultural change within a tertiary care environment. As an entrepreneur, Deborah has developed many successful businesses, including Enhanced Lifestyles, Ltd., a 25 year old health and fitness management company, which has a focus on holistic physical and mental wellness, including stress management. In addition, she has provided marketing and business strategy consultative services for a variety of businesses. She is a leader of people, a builder of teams, and a champion for change.